Deciduous perennial. California native hybrid. Bushy plants have attractive green foliage. 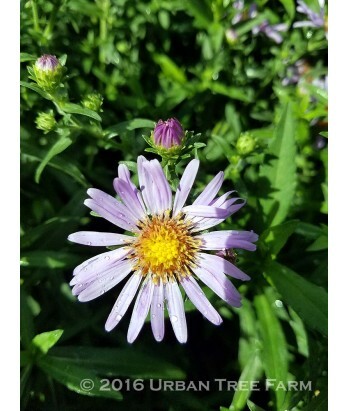 Rich purple daisy-like flowers bloom profusely summer through fall. Nice cut flower. Clumps can be divided every few years; spreads vigorously by rhizomes. Regular water needs once established. Adaptable to various soil conditions, but requires good drainage. Hardy to 0°F and below.